We have specially designed Drip Irrigation kits for Garden, and this kit is for 10 plants. 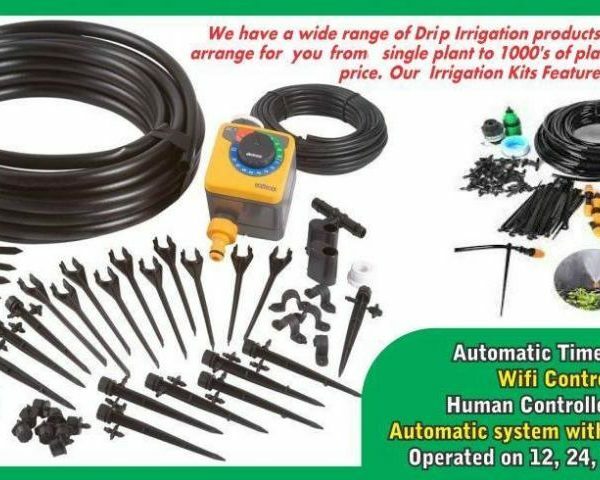 In this Drip Irrigation kit you can get everything, but without Screnfilter, Timer that will be important too. I would suggest to you ask questions in the comment box or forums so I can answer what you need. The kit has following components and you must read them. We usually ship by speedpost and if you want deliver by courier please contact us we do for you. Here are the products listed below from our store. The price for above all items is 320 Rupees.